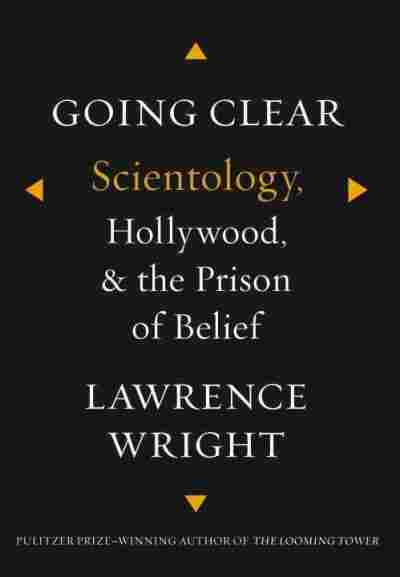 'Going Clear': A New Book Delves Into Scientology Lawrence Wright's Going Clear: Scientology, Hollywood and the Prison of Belief looks at the world of the controversial church and the life of its founder, L. Ron Hubbard, who died in 1986. 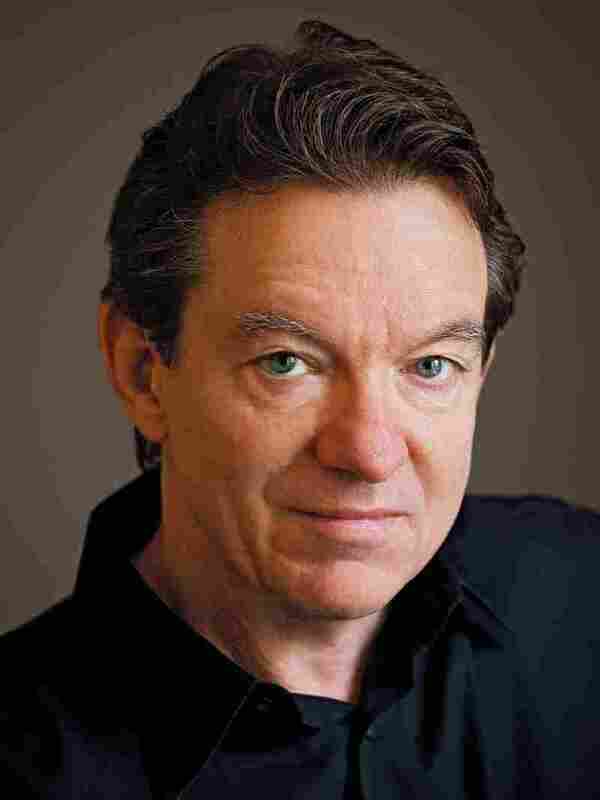 Lawrence Wright is a staff writer at The New Yorker and a recipient of the Pulitzer Prize. He lives in Austin, Texas. The book is a look inside the world of Scientology and the life of its founder, L. Ron Hubbard, who died in 1986. A recent ad for Scientology claims to welcome 4.4 million new converts each year. Wright, who won a Pulitzer for his book The Looming Tower about the history of al-Qaida, has written throughout his career about the impact of religion on people's lives. He reports that only 25,000 Americans actually call themselves Scientologists, and about 5,000 of those live in Los Angeles. This includes some Hollywood actors; Wright says that almost from the time Hubbard founded Scientology, he hoped to attract members from Hollywood. "He really said that he wanted to take over the entire entertainment industry," Wright tells Fresh Air's Terry Gross, " ... but his dream grew larger when he established the Church of Scientology in Hollywood and set up the Celebrity Center with the goal of attracting notable celebrities. ... They wanted an exemplary Scientologist to show to the world, and ... you know, they did get some people like Gloria Swanson, the star of silent films, became a member. Rock Hudson came in the door for a while, and, in those early days, they were constantly patrolling for someone who could be the public face of Scientology." "If you get into Scientology, you will go to auditing. It's like therapy except that there is an E-meter between you and your auditor. That's a device that actually measures your galvanic skin responses. It's two metal cans that you hold. They used to be Campbell's Soup cans with the label scraped off. A small current passes through it and there's a needle that registers your reaction, and that's what the auditor is looking at when you're responding. Oftentimes in these circumstances you might remember — when pressed by the auditor — a previous existence, and this is given reality and validity by the E-meter. If you have an image in your mind and the E-meter says — according to the auditor — this is something real, what is that? And you have a vague memory of maybe a farmhouse in France — southern France in the 19th century — then you're asked to give more flesh to that memory and, eventually, you've developed a full, fully bodied, confabulated memory of another existence, and that's, that's very powerful in the minds of a lot of Scientologists, and good news because the idea that you are immortal has just been proven to you." "He was taking gas for the dental surgery, and in the process he had, I think, what was a hallucination. He believed that he had died and gone to heaven and his disembodied spirit floated through these gates and suddenly all the secrets of existence were revealed to him and all the things that people have been asking since the beginning of time about the meaning of existence. And then, suddenly, these voices were saying, 'No, no. He's not ready. He's not ready,' and then he felt himself being pulled back, back, back, and then he woke up in the dental chair and he said to the nurse, 'I was dead, wasn't I?' and she apparently looked startled and the doctor gave her a dirty look. But this was a big moment in Hubbard's career because suddenly he became interested in metaphysics. And he wrote a book called Excalibur, which was never published, but it was based on the revelations he supposedly had achieved during this dental surgery. He said that people who read it were so shaken by it that, in one case, the reader came in and put the manuscript on the desk of the skyscraper office of the publisher and jumped out the window, and that the Russians had seized it and so on, but it never actually got published and we only have fragments of it available to us." "If he were purely a fraud and a con man as many say, at some point he would have taken the money and run. But he never did. He spent his whole life elaborating the cosmology, the bureaucracy he created to support this church. He spent the rest of his life — usually very much alone — elaborating his theories, the psychology, the religion that he was trying to create, the bureaucracy that's very intricate that supports it. That's what he gave his life to. So I think he really did believe, to some extent, that Scientology was real, but he was constantly inventing it. It was always on the fly, and for people who were around him, actually that was very exciting because you never knew what revelation was going to come next." "In Dianetics ... there was a reactive mind and an analytical mind, and, you know, if you can purge these ancient memories that trouble you, you then, you'll be free, you'll be clear. Scientology has another layer on top of that, and in Scientology there are these levels of spiritual accomplishment that are called 'Operating Thetans.' The word 'Thetan' means, you know, 'the immortal soul.' We are all immortal souls, and part of Scientology is that you discover that in the course of your learning. But there are presently eight levels of Operating Thetans. When you get to Operating Thetan Level No. 3, there's a big discovery that you have in Scientology. It was the most closely held secret in the church until it was put out and dumped into a courtroom in the '80s and all the copyrighted secrets of the church became public knowledge. At that level, Hubbard reveals that we are all infested with space aliens that are called 'Body Thetans,' and they're really the sources of all of the problems and fears and things that we have in our lives, and if you can audit yourself and discover these Thetans and expel them, it's akin to casting out demons that you can free yourself to ever higher levels of spiritual accomplishment." "There's a widespread belief that he's going to return, and every Scientology church and his several residences and so on, they have his office ready for him. His sandals are at the shower door. He's got his cigarettes on his desk. In his residence in the Scientology compound in southern California there's a novel beside his bed, and they change his sheets on his bed daily and they set a table place for him for one at his dining room table. So there's a sense that he might come back at any moment."